The Java Card Forum (JCF) and Oracle proudly announce the release of Java Card 3.1, which is a major milestone platform update, facilitating the development of advanced security services for existing markets and the emerging Internet of Things (IoT) sector. The JCF have been working in close co-operation with Oracle, providing recommendations for the new specification and the release is a testament to this long-standing partnership of over 20 years. The Java Card Forum (JCF) is delighted to announce Infineon Technologies AG as its latest member. The Java Card Forum (JCF) is proud to announce that it is celebrating its 20 year Anniversary in 2017. Back in 1997 a small group of smart card companies came together to form the Java Card Forum, to provide recommendations for the Java Card specification to Sun Microsystems – enhancing the platform to meet the needs of the smart security industry. This led to the publication by Sun (and later Oracle) of several releases of the Java Card specification over the years, effectively delivering Java Card technology’s promise of interoperability, security and multi-application support to the telecoms, IT security and financial services industries. With around 20 billion Java technology based smart cards deployed so far, the Java Card platform can be considered as a tremendous success and is today the most used IT platform in the world. 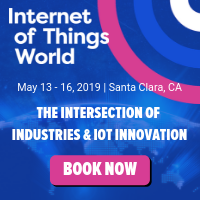 And after 20 years, its work remains as relevant today as it did back in the 90s; now looking to support new markets such as the Internet of Things. The close collaboration of the original members is testament to their belief in the possibilities of this new platform and with the focus firmly on the telecoms market, the standardization of a SIM toolkit soon led to mass deployment of the technology. Other markets soon beckoned, and the JCF continued to work with Oracle on developing and enhancing the specification, with the release of Java Card version 3.0 in 2008 as a response to the growing importance of smart, secure, and portable devices in a convergent world. Java Card technology was seen as a key building block for the next wave of secure digital services such as Mobile payment, Identity, ticketing, M2M applications and many others. And with the emergence of secure elements, the Java Card platform could move beyond the standard smart card environment to a variety of different form factors. “Java Card technology has always been a highly secure execution platform for innovative services: be it for SIM based services in the telecommunications area, smart payment services in the banking and financial service area or providing a secure environment for identity use cases such as passports, identity and health documents. This still holds true for today’s scenarios. There are a variety of use-cases for the platform and not all of them are card based,” explains Volker Gerstenberger the current President of the Java Card Forum. The JCF plans to celebrate its 20 years with a number of different activities across the year – sign up to receive email updates (see side bar). The Java Card Forum (JCF) has announced the appointment of Volker Gerstenberger as the new President of the organisation, as well as head of the Business Committee. He was elected for both posts by the members, to replace the outgoing Bruno Basquin. 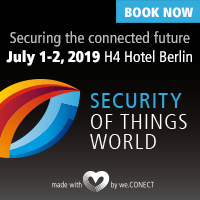 Volker is Director Product and Solution Marketing, Enterprise Security / OEM at Giesecke & Devrient GmbH (G&D) in Munich, Germany. Volker has served as the G&D representative in the JCF Business Committee since 2011. Having worked with Java Card technology since 2000, he brings a thorough understanding of the technology, the current and future market trends, as well as the business acumen to validate future investments into Java Card technology to the JCF leadership. He strongly believes in the principle of cooperation for joint success – so working closely together with the TC Chairman, the JCF members and Oracle, Volker will drive the advancements of Java Card technology in the years to come. The Java Card Forum is proud to announce that following its collaborative work with Oracle, version 3.0.5 of the Java Card Classic Edition has now been released and the development kit + specification are available for download. “The JCF and Oracle will jointly present the new release in a series of events, the first one being scheduled for November in Beijing, ” adds Basquin. Details about the Beijing event will be available online early Autumn. 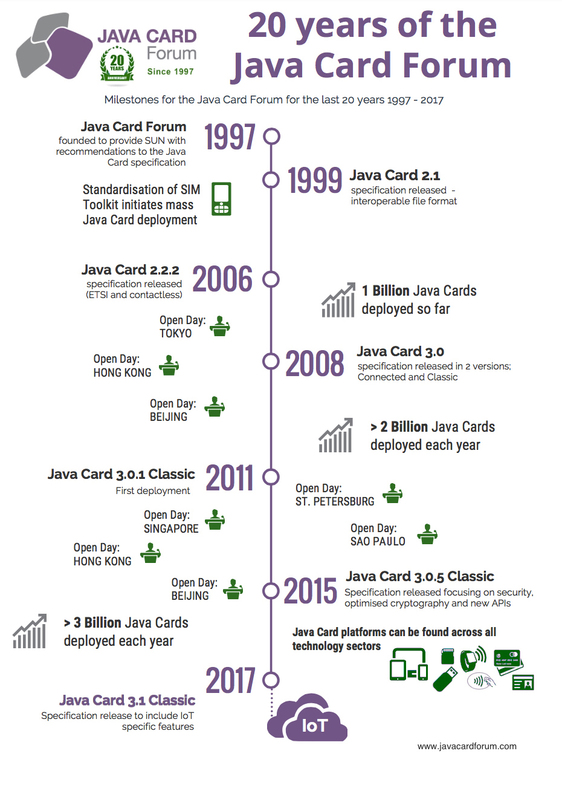 Berlin, Germany and Hong Kong, 19th March 2014 – The Java Card Forum (JCF), an industry organisation dedicated to promoting and developing interoperable Java Card technology products, has returned to Hong Kong to hold one of its popular Open Days. During the Java Card Open Day in Hong Kong on 18th March, Java Card experts shared successful implementations of the technology and explored future applications, demonstrating the solid credentials of a technology over 15 years in the making. Since 1997, Java Card Forum experts have worked in close collaboration with Oracle (and formerly with Sun Microsystems) to create and improve Java Card technology. This has led to the publication of 9 releases of the Java Card specification, effectively delivering Java Card technology’s promise (interoperability, security and multi-application support) to the telecoms, government, IT security and financial service sectors. With over 12 billion Java technology based smart cards and devices deployed so far, the Java Card platform can be considered a tremendous success. The Java Card Forum has continued its collaboration with Oracle on Java Card 3.x technology (the most recent iteration), which marks an important milestone in the growing importance of smart, secure, and portable devices in our everyday lives. 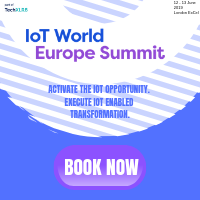 The electronic world is permanently redefining its frontiers, with an increasing trend to concentrate more services on each individual, and more than ever the need to share more content and applications with others. In this context, the Java Card 3 platform, with its more powerful Java technology engine, has the ambition to become the platform of choice for next generation products in Telecoms, Payment, Identity and Authentication markets. Berlin, Germany and São Paulo, Brazil 11th December 2013 – The Java Card Forum (JCF), an industry organisation dedicated to promoting and developing interoperable Java Card technology products, has come to Brazil for the first time, to hold one of its popular Open Days. During the Java Card Open Day in Brazil on 10th December, Java Card experts shared successful implementations of the technology and explored future applications, demonstrating the solid credentials of a technology over 15 years in the making. Since 1997, Java Card Forum experts have worked in close collaboration with Oracle (and formerly with Sun Microsystems) to create and improve Java Card technology. This has led to the publication of 9 releases of the Java Card specification, effectively delivering Java Card technology’s promise (interoperability, security and multi-application support) to the telecoms, government, IT security and financial service sectors. With over 12 billion Java technology based smart cards and devices deployed so far, the Java Card platform can be considered a tremendous success. Speaking about the release of the Java Card Forum’s new corporate identity, Bruno Basquin, President of the Java Card Forum, takes a minute to remind us why the Java Card platform remains so relevant around the world today. Berlin, Germany and Paris, France, 18th November 2013 – Leading industry organization the Java Card Forum (JCF), dedicated to promoting and developing interoperable Java Card™ technology products, has today unveiled its new visual identity; providing a stronger industry presence and a clearer image for the organization going forward. “After reaching our 15 year milestone last year, it was the perfect time to evaluate our visual identity to ensure it reflected today’s organization and where we are going in the future,” says Bruno Basquin, President of the Java Card Forum and Chairman of the Business Committee. “The logo and colour scheme modernize the JCF’s appearance and will enable clear recognition across all media, including social and broadcast media, as well as on smaller devices such as smart phones and tablets,” he continues. 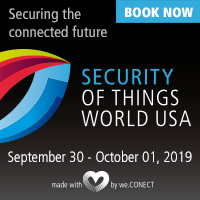 The new logo symbolizes the organization’s long history of collaboration within the industry and its continued commitment to drive innovation for multi-application secure solutions. The JCF members worked closely with Krowne Communications GmbH in defining the new image, which includes a new website and documentation layout. The Java Card Forum will continue to travel to different regions to promote Java Card technology and will hold its first Open Day in Latin America on 10th December in Sao Paulo with the new Look and Feel. Anyone wishing to find out more about this Open Day, should go to www.javacardforum.com for further details.